There is something wonderful about walking into a warmly toned wood interior—always welcoming, always feels like home. However, salt, sun, and serious use can leave your wooden interiors looking tired and dull. Back by popular demand, the folks at Bristol Finish have revived their Classic Clear Interior Water Based Urethane. Classic Clear can be brushed, rolled, or sprayed onto any interior surface, including your favorite furniture, and is environmentally responsible, non-flammable, and low-odor. The end result is a bright amber finish that offers lasting abrasion-protection. 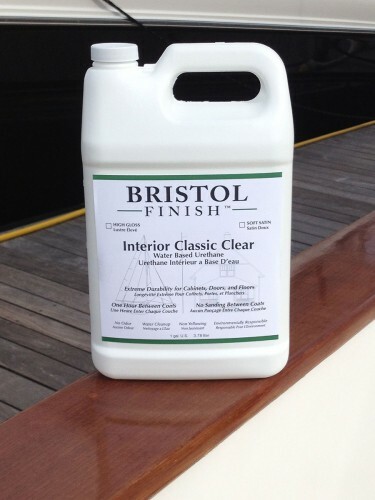 Classic Clear available in quarts ($26) or gallons ($78) and is comes in either satin or high-gloss. Visit www.passagemaker.com for more great articles and Gear Products.